Surfwella, a free Wi-Fi facility, will be made available in Nigerian universities, from this week, to give a boost to Stertiary education in the country. 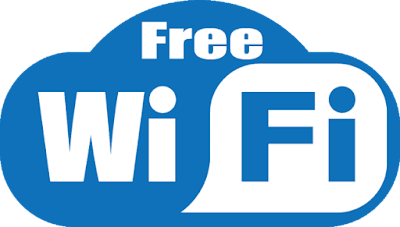 The Chief Marketing Officer, Surfwella, Olusola Bankole, said on Sunday that the firm would make available the free Wi-Fi in all university campuses in the country. Surfwella is a Corporate Social Responsibility initiative of an indigenous 4G operator, Cyberspace Network Limited, and a platform for social and cognitive computing. “The University of Abuja will be the first beneficiary, with the service scheduled for launch on the institution’s campus this week Wednesday,” Bankole said. According to him, while the firm is unveiling the service at the University of Abuja and other institutions, it is still building and adding more features on the Internet infrastructure. “The usage is totally free. No payment, no subscription, no data purchase, and no need for modems. It is free Internet in the most useable form on the Wi-Fi,” he said. Bankole said that Surfwella was doing this as a way to give back to the society. “It is our own form of Corporate Social Responsibility. It is all about empowering the students to be globally competitive, and access to free Internet is the best way to empower the budding oncoming Generation-Z. “The whole idea of this project is to ensure that future graduates from universities across the country will compete with their contemporaries from other countries of the globe. More so, the surest way to be an entrepreneur is to acquiring Information and Communications Technology skills,” he added. Wow,it is nice but i am sure you collect your money from their school fees.